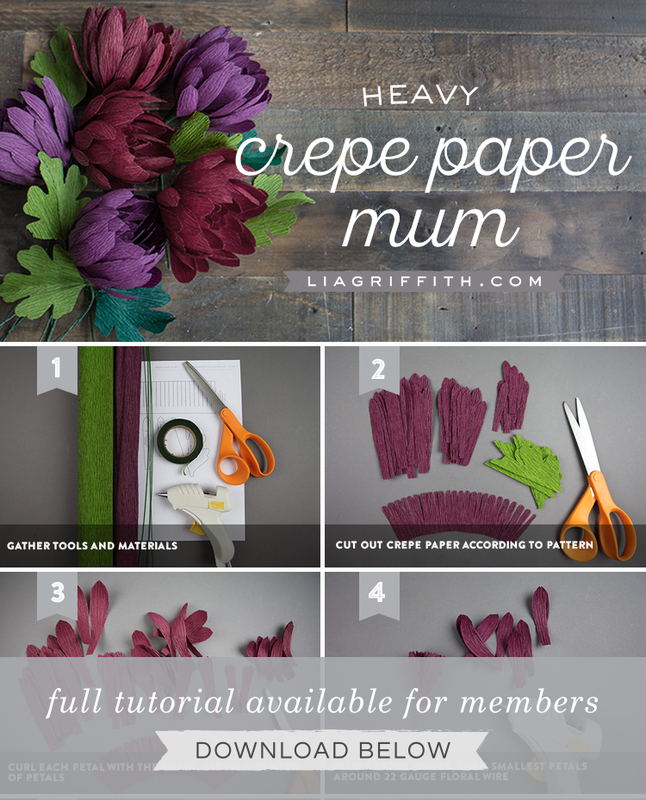 Get creative with crepe this fall season! 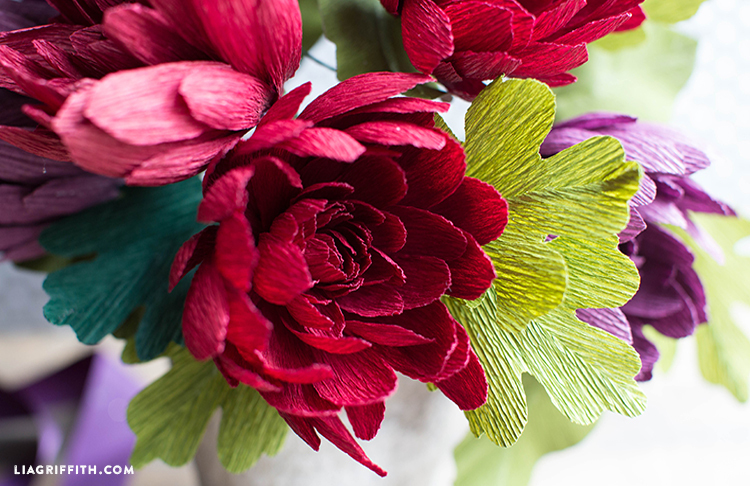 Our stunning crepe paper mum flower is a work of art… and so simple to craft. We’ve created both PDF and SVG cut files for you to choose from, depending on your cutting tool of choice. Simply gather the supplies listed below, download the pattern and follow along with our step-by-step instructions. Say hello to autumn! Cut out the crepe paper according to the pattern. Curl each petal with the grain. Stretch the centers of your petals. 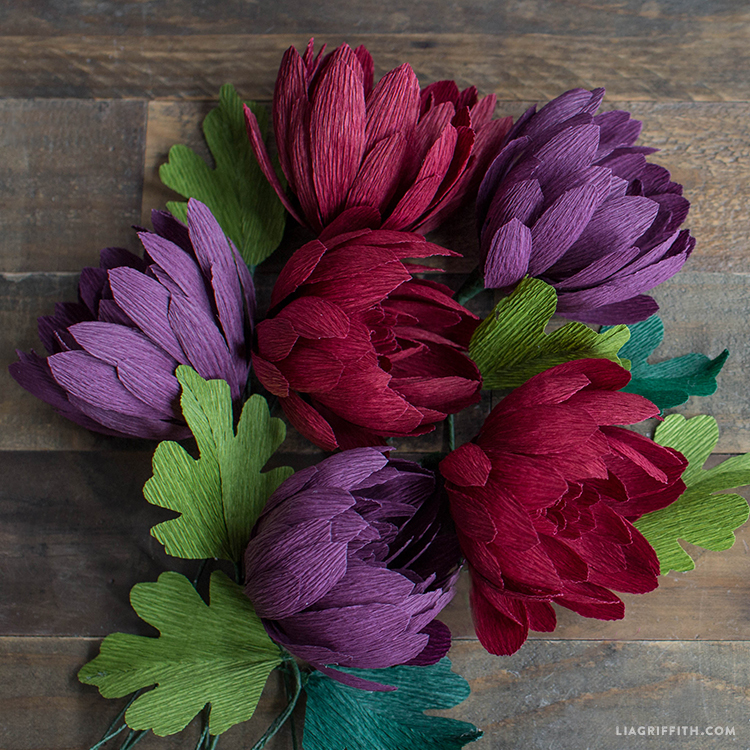 Glue the center fringe, followed by the smallest petals, around 22-gauge floral wire. Thank you, we think so too! 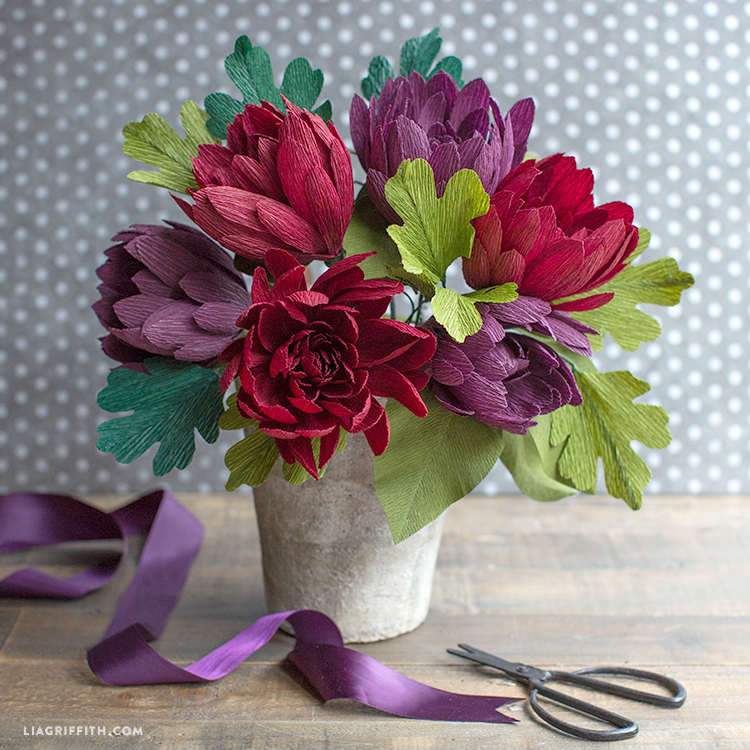 You’ll need 10 of the smallest petals for this particular project. I love your site and am a member. 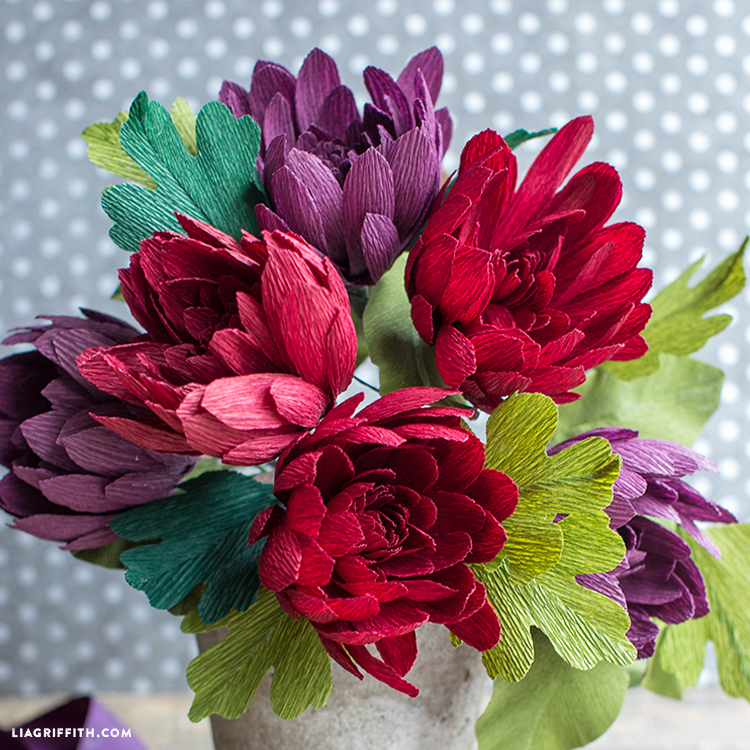 I started making paper flowers this winter for my daughter’s July wedding. It was such a wonderful discovery for me and now I am hooked. I would like to buy a Cricut cutting machine but have no idea which model to purchase. I only plan to cut paper. Can you advise me? Hi Lynda! We love the Cricut Explore Air. The Maker is pretty amazing if you think you’ll ever want to cut felt, fabric or crepe paper! I don’t know what the Heavy Paper is ! Lol. I bet you have said it over a hundred times but I didn’t hear it. So if I want to do a project and don’t have it can I iron two papers together ? Is that the same thing ? I have all Lia’s paper except the Heavy. 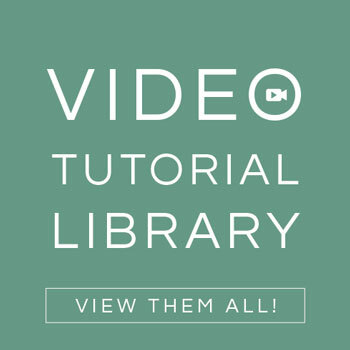 Hopefully you can make more vdo instruction. I paid the $99. Unable to log in. Continues to return to “become a member”. Unable to print out patterns, etc. Hi Carol, if you’re still having trouble please send an email to hello@liagriffith.com and we’ll look into your account! Hi! Just wondering where the crepe paper came from. I love the colors! Thank you! 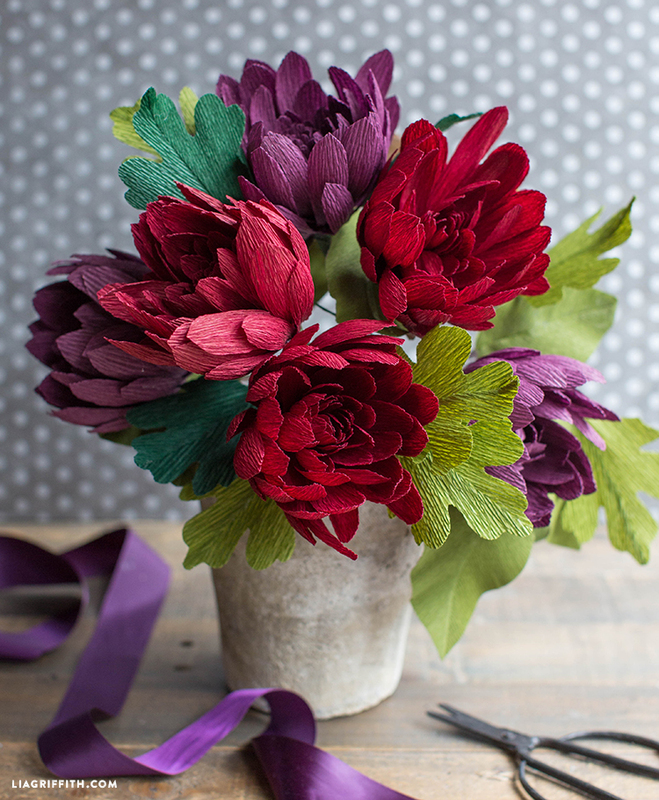 The deep red and greens are available in our shop (https://shop.liagriffith.com/collections/crepe-paper/products/10-pack-christmas-color-pack-floristic-crepe-paper). The plum is one of our new colors that will be available in January!! Dissappointed you can’t print template without monthly membership fees. Isn’t it enough that people buy the crepe paper from you? With membership to LiaGriffith.com, you can enjoy full access to our download extensive library of more than 1800 DIY templates, printables and cut files. 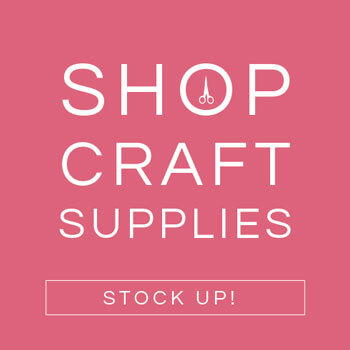 Over 40 brand new DIY projects are added every month. 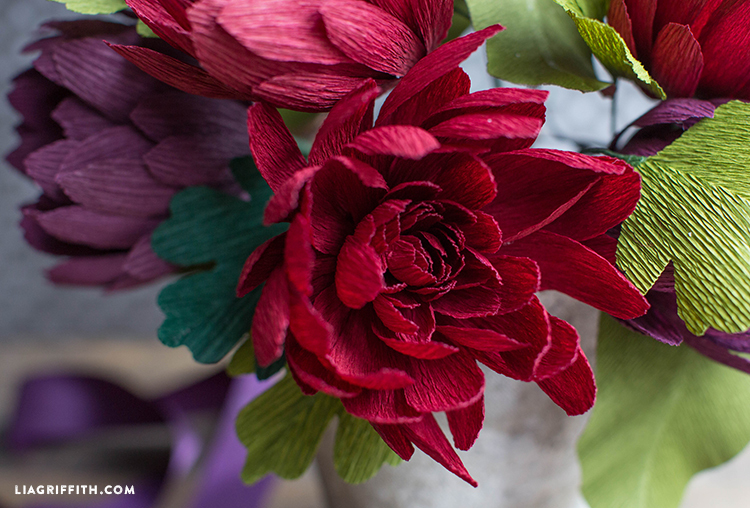 You can learn how to make gorgeous paper flowers, create stunning home décor projects, handcraft a truly unique wedding or make the cutest crafts with your kids. These projects are made from a huge variety of materials that you can access from a variety of sources (including our crepe paper line). 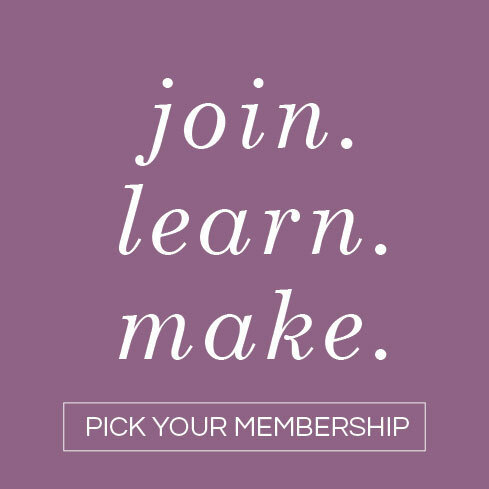 We are also adding requested features to the Lia Griffith annual membership; these will include exclusive invites to online workshops with Lia, access to an online community page with social sharing capabilities, new Lia Griffith products and also rewards in our online shop. Unfortunately, we are just simply unable to provide this level and quality of content on a daily and monthly basis without charging a membership fee. All members have access to our entire website… Monthly members have 15 project downloads a month, and annual members are guaranteed unlimited downloads for the duration of their membership. We do, however, have a Freebies section!